A survey of employees in technology companies has revealed a worrying trend in which bosses are more likely to criticise women and give men constructive feedback in performance reviews. Does employee gender influence the kind of feedback you provide in performance reviews? You might not think so, but a recent survey has shown that managers in technology companies tend to talk differently to female employees than they do to males workers. In a Fortune article, author Kieran Snyder asked male and female tech employees to share their performance reviews for a study to see whether the reviews’ content or tone differed based on the gender of the worker. She collected 248 reviews from 180 people, 105 of whom were men and 75 women. The reviews were from 28 companies of various sizes. Snyder discovered that 71 female employees received negative feedback in their reviews, compared with just two men. On the flipside, 81 men received only constructive feedback, compared with 23 women. When it came to the type of the feedback in the reviews, 94 women were criticised, while 13 were given feedback without criticism. When it came to men, 83 were criticised while 58 were not. “Men are given constructive suggestions. Women are given constructive suggestions – and told to pipe down,” she wrote. While the feedback for men tended to suggest they develop extra skills, the feedback for women included more negative personality criticism. That kind of criticism – employees being told to watch their tone or stop being judgemental – only showed up in two of the 83 critical reviews received by male employees, but was found in 71 of the 94 critical reviews of female workers. Snyder’s study also found that the gender of the manager doing the review did not make a difference to the nature of the feedback. She wrote that while her data may not be completely scientific, the “directional indication is striking and calls for further investigation by managers and HR departments”. Her survey isn’t the first to come across the different language used to describe male and female employees – ThinkProgress reported that a study by linguist Nic Subtirelu of publications and media between 1990 and 2012 found that women were called “pushy” twice as frequently as men and “bossy” nearly three times as frequently. “At most mid-sized or large tech companies, HR leaders supervise review scores to uncover and correct patterns of systematic bias,” wrote Snyder. Tech companies: Still a boys’ club? 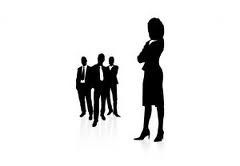 HR gender bias: What’s in a name?